I hate the term “time management”. In my opinion, there is no such thing because TIME in and of itself, can not be “managed”. We all know that there are 24 hours in a day. We can’t negotiate 70 minutes in an hour because we know that the universal measurement of time is a set standard of 60 minutes per hour. Just as we all know that if we want to measure a “cup” of sugar, that “cup” will consist of 8 ounces. If we put in less, it’s no longer a cup. If we put in more, it’s no longer a cup. By the laws of nature we know there are variables in any measure of time, i.e., the varying hours of sunlight or darkness. No matter how great our “time management” skills, we cannot make the sun rise earlier or set later. What we CAN manage is the QUALITY of our SKILLS and the ACTIVITIES we choose to perform in a given period of time. Each day we set many goals for ourselves, personal and professional. Some related to family and friendship, some related to our careers. Some related to health, some related to wealth. Some related to just ourselves, some involving our children, spouses, or companies we work for. Whether we are successful in achieving our goals, or not, depends on knowing our skill/experience levels, the actual volume of the amount of work, play or rest we need to get done in a specific amount of time, and HOW MOTIVATED WE ARE TO ACTUALLY EXECUTE the tasks. When the ACTIVITIES are done, then we must evaluate the RESULTS. In the end, we all should completely understand the only thing that matters are the RESULTS…because the RESULTS are the direct product of the QUALITY of the activities, skill, attitudes and time devoted to the goal. You can’t make excuses for the results, because what you put in is what you will get out. I can’t stress the value of keeping statistics enough. It’s the only documented, true measure of activity we have for seeing how either our EXPECTATIONS or our ACTIVITIES must change in order to achieve a goal. CAUTION: BE VERY CAREFUL IN CHANGING THE EXPECTATIONS at any time during the pursuit of a goal based on statistics! It’s usually the EFFECTIVENESS IN PERFORMING THE ACTIVITIES, OUR ATTITUDE or OUR SKILLS that have to change if we are HONEST with ourselves and the GOAL is realistic. Lowering the expectation may delay the achievement of the goal or completely kill it unnecessarily! After we have examined our stats and completed our evaluation we can tweak the plan or in other words improve the QUALITY of our activities, our skills, attitudes in the allotted time frame to show what works or to know what to do better next time. We can examine how fulfilling the process was. Was it all done with ease or was it an absolute frustration? Did the goal really mean enough to us to be motivated to achieve the goal? This is what has become known as successful “TIME MANAGEMENT”…but really, shouldn’t it be called creating “QUALITY TIME”? You’ve hit the nail on the head. 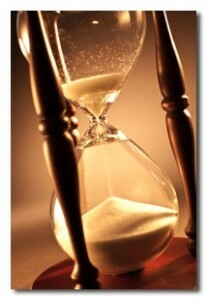 Time – is it a friend or a foe. Friend – as that things can be healed in time or FOE – as you’ve always run out of it! But what exacly do you mean by keeping statistics? What is that and how is it done?